A worn out drive train on your dirt bike not only affects performance but can be dangerous. If the chain snaps while riding not only does your Moto or riding day end but, though it's rare, the it can whip you in the back so perform a visual inspection of the chain and sprockets before every ride. When changing we recommend replacing the chain and sprockets at the same time regardless of wear. That's why we sell so many kits to give you options but help save money at the same time. 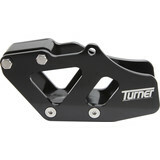 Sometimes however you need a replacement part so if that's the case you can grab a sprocket or new chain individually. Additionally, drive parts also consist of chain guides, rollers and rub plates among other components. Whether you're looking to replace worn out chain and sprockets or want to upgrade from stock, MotoSport stocks the necessary drive parts to get the most out of your dirt bike. We are The Guys That Ride so call us at 888-676-8853 for questions or advice. 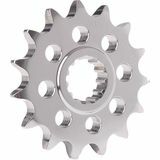 Also, check out The Ultimate Dirt Bike Sprocket & Gearing Guide for information on when to change the sprockets and chain as well as suggestions on the number of sprocket teeth you should ride based on desired bottom end or top end speed.